When I first started having kids one of the big things people told me to put on my baby registry was a humidifier. I was repeatedly told how helpful one is with baby’s breathing especially when they are ill. Since then I’ve realized how much nicer the air in our home is with the humidifier not just for the baby, but for the entire family. The Dyson humidifier is amazing and has vastly improved the air quality in our home. The problem with the baby humidifier and most humidifiers in general is that they are so small and only emit in one direction in a small space. 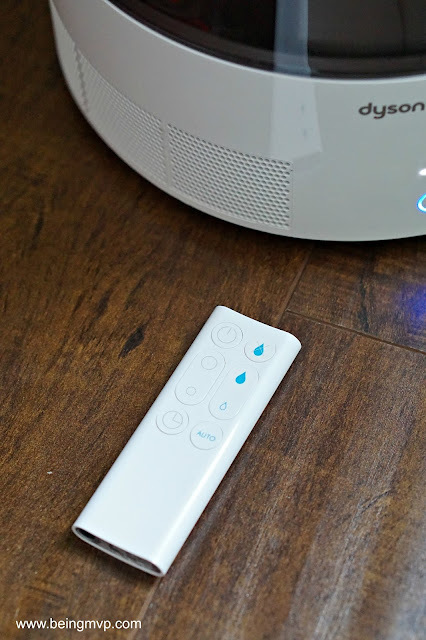 The Dyson humidifier uses Air Multiplier technology to project humidified air throughout the entire room so that everyone can benefit the effects without having to be up close to the unit. I also feel better knowing that the Dyson humidifier kills 99.9% of bacteria in the water with Ultraviolet Cleanse technology. 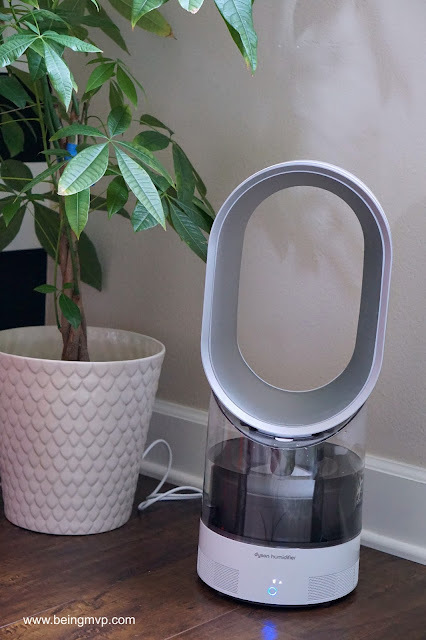 Unlike other humidifiers that can emit over 280 counts of bacteria within 2 minutes, the Dyson actually improves our air making a healthier living space for all us. The advanced technology that the Dyson humidifier uses makes it remarkable and beats out any competitor products. The Dyson features accurate climate control by measuring temperature and humidity to adjust as needed to create the perfect environment. I never have to worry about over humidifying a room. There’s even a built-in sleep timer for automatic shut off so I don’t have to worry that I accidentally left it running. With one tank of water, the humidifier can run up to 18 hours continuously which is great for peaceful nights of sleep. 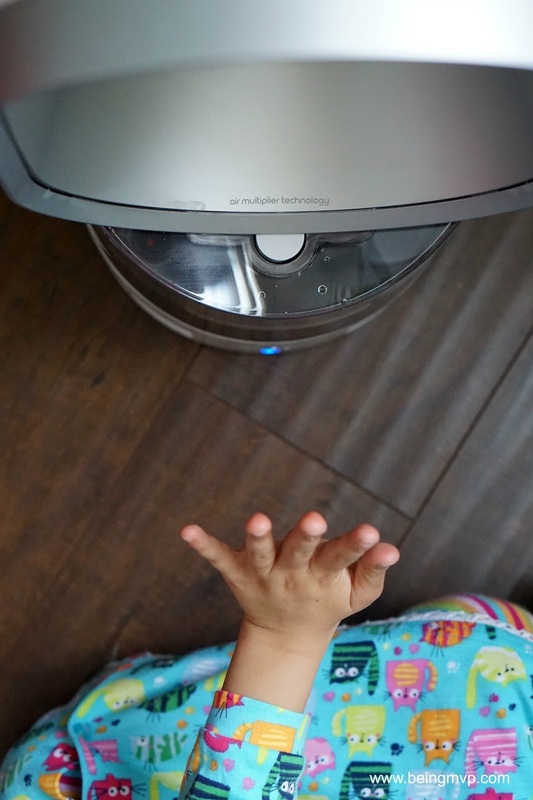 With all these features and the ultra modern, sleek and compact design, the Dyson humidifier is a great addition to our home. I highly recommend it for any home and especially if you have kids. Why bother with competing products that won’t offer you the same quality. This is a product that will last through all your family’s different stages and will make you rest assured that you are providing the best for your loved ones. I have had the worst time breathing while pregnant, I'll have to check into this. I really love anything dyson!! Their design is just so aesthetically pleasing!! I love being able to have necessary items look like decor and work amazing!! I've never seen a humidifier like this one before! That looks great--I love how adjustable it is. I just turned on the generic humidifier in my daughter's room before she fell asleep. It's the only thing that seems to help at all when she has a cold like we both do right now. I will definitely look into this. I love that it kills bacteria in the water and has a tank that holds 18 hours worth of water. Very cool. Dyson has great products. This would be great to own. Thank you for the review. I've been considering getting a humidifier - this one has so many wonderful features I want this one! This would be great to have in my children's room. I knew it would be a perfect work of art the minute I began perusing the blog. Wonderfull keep sharing Awesome post. Thank you for the valuable information.